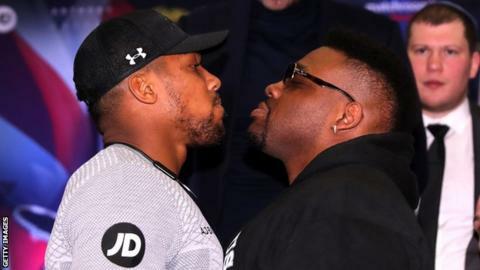 Anthony Joshua's next opponent Jarrell Miller has returned an "adverse finding" in a drug-testing sample, says Joshua's promoter Eddie Hearn. Miller, nicknamed 'Big Baby', has 23 wins and a draw as a professional, winning 20 of his fights by knockout, but the unbeaten Joshua represents a huge step up in class. In his last contest, Miller weighed in at 22st 7lb - almost five stone heavier than Joshua's weight before his victory over Alexander Povetkin in September.